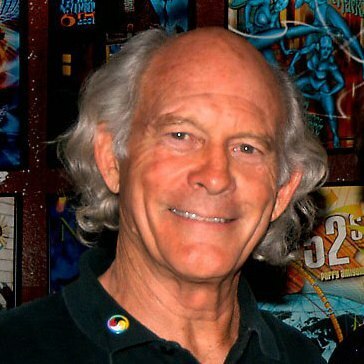 Max Gail, Secretary of the Board, is a teacher, actor, musician and director and has a degree in Economics from Williams College and an MBA from the University of Michigan. Max has been involved in social and environmental activism for the last 30 years. He also founded Local Access Places (LAP), which was SEE’s first project. Back in 1980, portable video was very new and I had been playing a cop in the Barney Miller TV show and spending the rest of my time on the life learning curve with AIM (American Indian Movement) and MUSE (Musicians United for Safe Energy) activists. I felt there was a way to share the connectedness we humans have to each other and all of life that is expressed in the Lakota prayer Mitakuye Oyasin…”for all my relations.” Inspired by “on the road” story telling from Jack Kerouac to Charles Kuralt, and anticipating perhaps music videos and Real People/Real World TV, I collaborated with film makers, artists and activists to integrated audio video recording with our travels and gatherings throughout the year. I thought of it as a “docu-musical,” and called it “For All My Relations.” At the center were my two inspiring older brothers Floyd Red Crow Westerman and David Amram. A small piece of that video is in the wonderful film being premiered at the festival this year, “David Amram: The first 80 Years.” But it was all “too radical” for the ABC network at the time in a country that was swinging into the Reagan era. This entry was posted in Make No Bones Shows and tagged Activist, AIM, Floyd Red Crow Westerman, Human Rights, KAOS 89.3 FM, Max Gail Jr., Raven Redbone. Bookmark the permalink.